Workplace-Related Hearing Loss | Merkel & Cocke, P.A. Your hearing might be one of those senses that you take for granted until there is a problem with it. 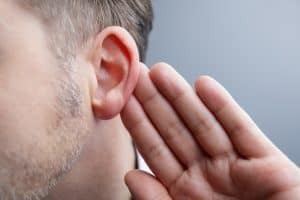 Many workers rely on their ability to hear in their daily work, so any decrease in hearing ability or a loss of hearing altogether could make it impossible and unsafe for some workers to do their jobs, and it would also diminish the quality of the rest of a person’s life outside of work. The Occupational Safety and Health Administration (OSHA) reports that 22 million workers are exposed to potentially damaging noise at work every year, and last year, U.S. businesses paid more than $1.5 million in penalties for not protecting workers from noise. OSHA estimates that an estimated $242 million is spent each year on workers’ compensation for hearing loss disability. Hearing loss can occur after a loud noise or explosion, or it can happen slowly over time as a worker is exposed to loud noises all day at work for weeks, months and years on end. One of the challenges with hearing loss is that once you have lost your hearing, you cannot get it back. What occupations are prone to causing hearing loss? The Recommended Exposure Limit (REL) for occupational noise exposure is 85 decibels for eight hours. Any exposure above these levels is considered hazardous. NIOSH also recommends using hearing protection when hazardous noise levels cannot be adequately reduced. OSHA regulations include a table of permissible noise exposures, of which the upper limit is 90 decibels over eight hours at the upper limit, and employers shall administer a continuing, effective hearing conservation program, which is defined in the OSHA regulations. An employer’s workers’ compensation insurer might deny an employee’s claim that their hearing loss was occupational. If you have had a denied workers’ compensation claim, a Mississippi workers’ compensation attorney can advise you of your legal options and represent you in a hearing with the Mississippi Workers’ Compensation Commission. If you believe you are being wrongfully denied workers’ compensation benefits in Mississippi, contact the legal team at Merkel & Cocke, P.A. for assistance. You should not have to deal with medical bills and loss of wages on your own. Please call us today at 662-799-1633 or complete our contact form to schedule a free consultation at one of our offices in Oxford, Jackson and Clarksdale.